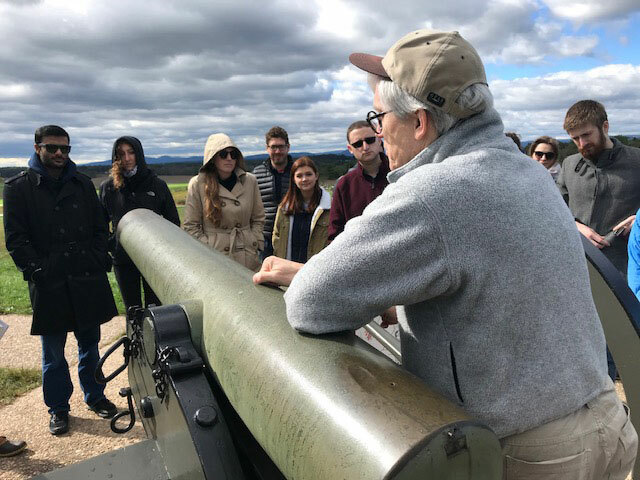 Professor Stephen Biddle led students in SIPA's International Security Policy concentration on visit to a Civil War battlefield and the U.S. Army War College. The “staff ride” is a military teaching technique that traces its origins to the 19th century Prussian Army. 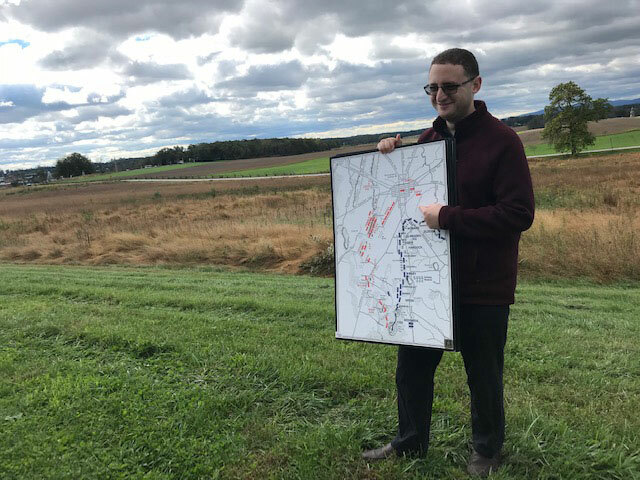 Back then, commanders and their staff officers would explore historic or future battlefields on horseback, analyzing the terrain and seeking the kind of martial insights that are hard to glean from maps, books, or lectures alone. 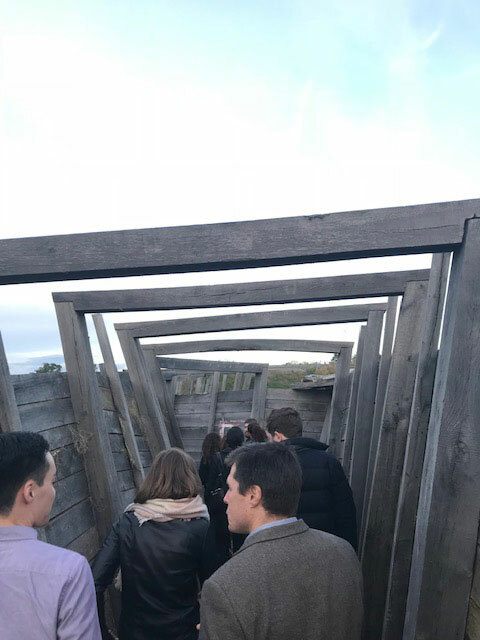 The way the slight rise of a hill can fundamentally alter the dynamics of an engagement. The tradeoffs between a direct assault over a field or a concealed flanking movement behind a treeline. How weapons, troops, and tactics can be helped or hindered by the land itself. 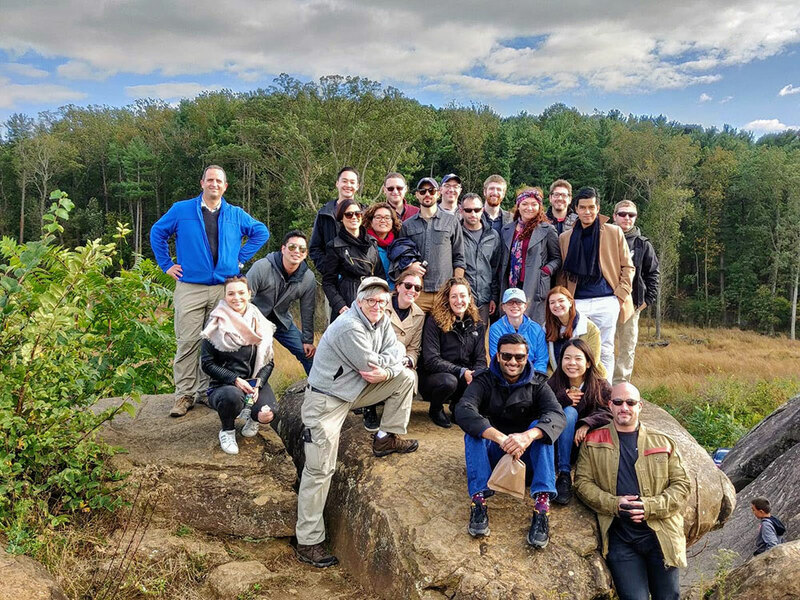 On a staff ride, these factors can be felt and seen by strategists up-close and in-person. 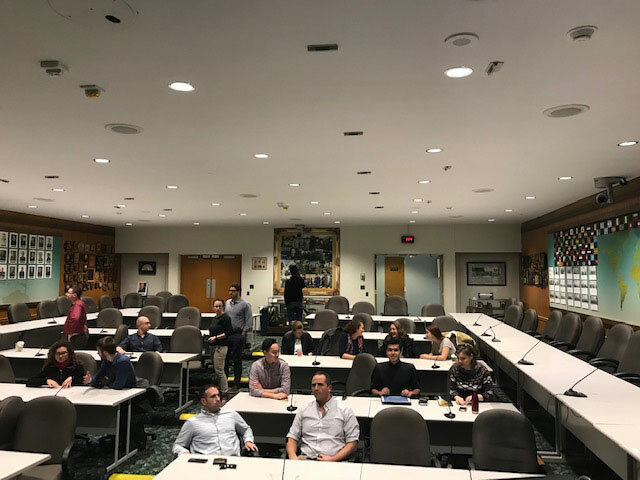 The ability to come closer to this “ground truth” of a battlespace still holds its value today: the technique is still widely used by U.S. Army officers, and staff rides are even a part of the U.S. Army War College's official curriculum. 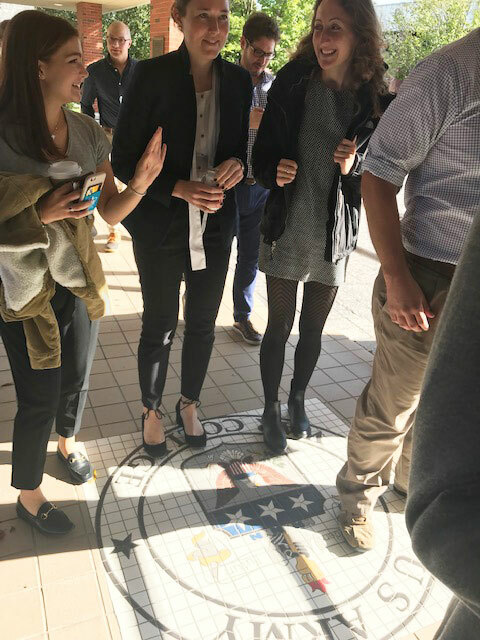 On October 13, students from SIPA's International Security Policy concentration joined this unique tradition. 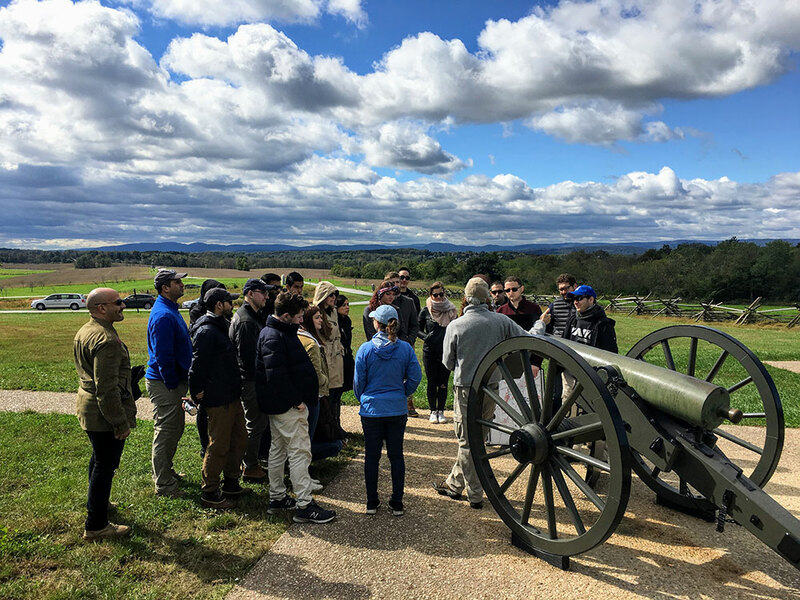 Trading horses for muddy boots, a group of 26 ISP students explored the Civil War battlefield at Gettysburg with an eye on the interaction of real-world terrain, military technology, and tactics. 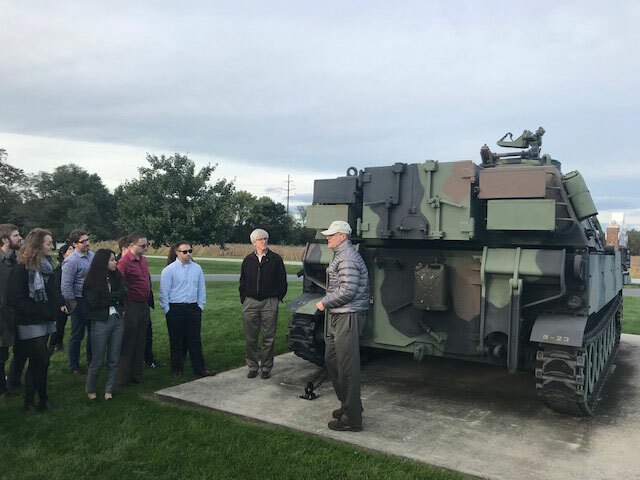 The trip also included a visit to the U.S. Army War College in Carlisle, Pa., where students dined with the college's faculty and staff, and analyzed the purpose and utility of historical military equipment like Sherman tanks and Bradley infantry fighting vehicles. 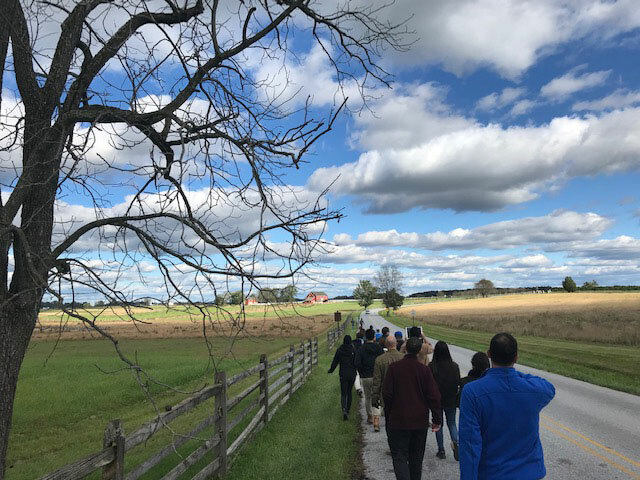 Leading the outing was Professor Stephen Biddle, whose experience includes advising U.S. commanding generals and teaching senior officers from militaries around the world. 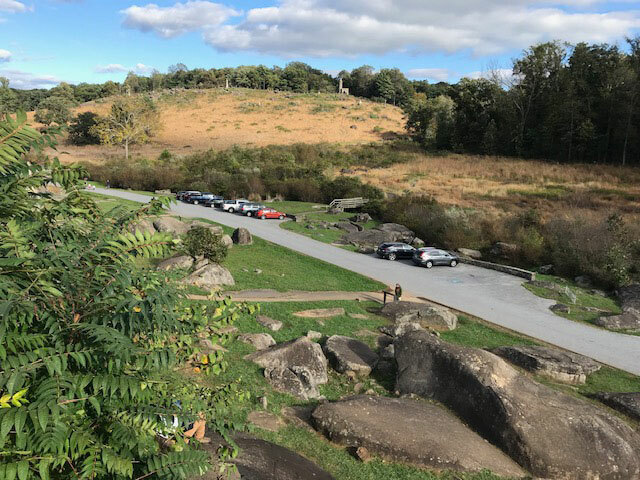 During discussions around sites like Little Round Top, tourists would linger to listen to Biddle's analysis. “Wow. Where do you sign up for this tour?” one woman asked. The answer: Columbia University‘s School of International and Public Affairs.